Google and other popular search engines didn’t value PR(Page Rank) as their ranking algorithm anymore. Though ranking factors getting more complex day by day, there are two standard ‘DA’ & ‘PA’ has taken the position of ‘PR’ and widely used for determining any websites authority level. Which idea was developed by moz.com (former SEOmoz), DA is the short form of ‘Domain Authority’ and PA stands for ‘Page Authority’. Building a healthy and wealthy backlink profile is dream of every bloggers and webmasters, High authoritative backlinks can boost up your ranking in Google. But finding and putting links in high DA sites are not an easy task. You need to have some extraordinary skills with premium tools to do something like this. But never lose hope even if you can’t behave like a pro. I managed to create a list of 47 High DA sites which accept signups from new users and let them create a profile. You can add your website there by putting it in bio section, many of this sites have website field in default so simply put your link there and it will show on your profile immediately. 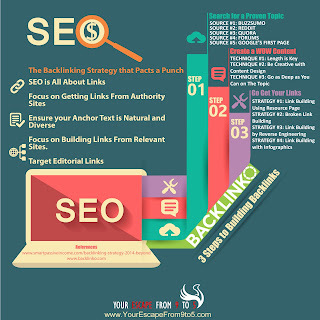 Get in touch with an Expert to boost up your sites SEO. Fiverr is an awesome place to get important services for only a few bucks. The best part of fiverr is you can choose the best person by his work history and reviews that he gets from other clients. Thanks Syed for your complement. Thanks for sharing an excellent list of site list. Glad that my content can add some value to you.